Pittsburgh may be known forevermore as the Steel City. But as the home of Heinz, it could easily have gone in another direction. Think about that for a minute: If the Steelers’ defense wasn’t “The Steel Curtain,” it could have been the Ketchup Curtain. All those rusty but flattering comparisons could have been viscous and savory instead of steely and stainless. Though it’s been awhile since Heinz products were actually made here, there are lots of small-scale, locally produced and extremely delicious foods on Pittsburgh shelves. 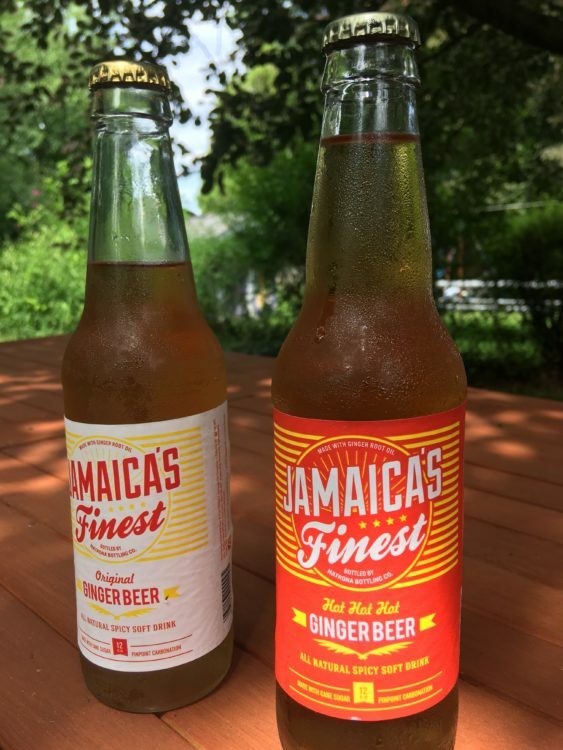 Jamaica’s Finest Ginger Beer from Natrona Bottling Co. Photo by Mike Machosky. Not too long ago, if you wanted “a pop” it seemed like there were only the mega-brand corn syrup concoctions to choose from. You had to know where to look to find Natrona Bottling Company, which has been making sodas with pure cane sugar and natural flavors since 1904. Now, it seems that you can’t open a bar, restaurant or coffee shop without stocking a few of their flavors: Plantation Style Mint Julep, Red Ribbon Root Beer, Red Ribbon Cherry Supreme, Jamaica’s Finest Ginger Beer. It’s hard to avoid the future in Lawrenceville, where some cars even drive themselves and our inevitable robotic overlords get their servos soldered. 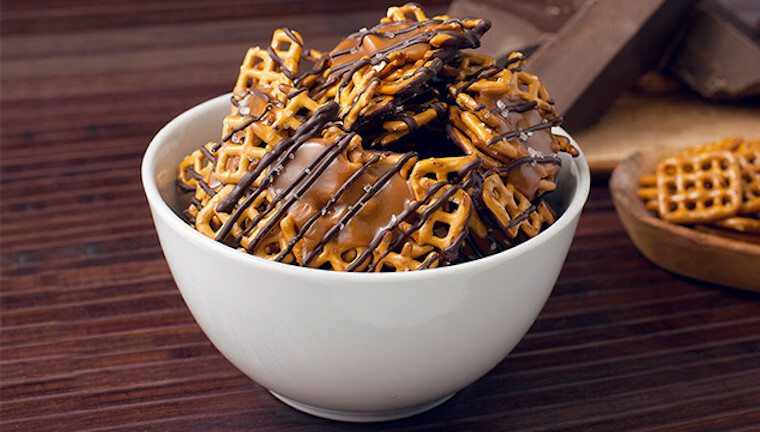 But fear not, for this future also contains chocolate — in particular, the bite-sized, caramel-covered pretzels called Snappers. Edward Marc Chocolatier, which runs the Milk Shake Factory on the South Side and Downtown, makes these curious chocolates in a big red warehouse here. They’re sold all over the country now in flavors like Sea Salt Dark Chocolate, Peanut Butter and Milk Chocolate. Pittsburgh’s days as a vast, taco-less wasteland are thankfully behind us. But still — it’s not the first American city where you’d think to look for a lot of great Mexican anything. 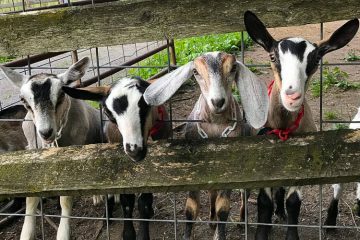 Luckily, there’s Reyna Foods, run out of a small storefront in the Strip District, part of a vertically integrated Mexican food mini-empire that includes a farm in Allison Park, a tortilla chip factory in Armstrong County and a restaurant next door in the Strip. Their chips and tortillas are the gold standard locally — you may bump into local chefs picking up piles of still-warm tortillas at any time. Banana peppers. That’s the secret to Miller’s Mustard, the single greatest condiment to come out of Pittsburgh since Heinz ketchup. 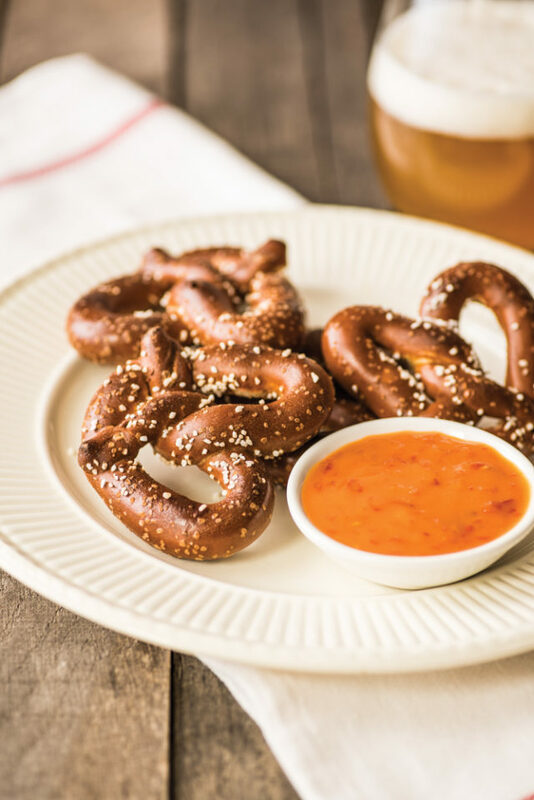 It’s both spicy and sweet, with enough sharp, piquant, peppery flavor to make any forgettable sandwich or dipping implement (crackers, chips, pretzels) into a memorable bite. It comes in mild & sweet, hot and a truly hot version with habanero chiles added, for those seeking a new, very different type of hot sauce. Miller’s Mustard. Photo courtesy of Miller’s Mustard. The Picklesburgh festival blew up so big — outgrowing the Roberto Clemente Bridge — that it’s clear that pickles have some pretty serious fans around here. The Pittsburgh Pickle Company has clearly picked up on this. If you’re more of a sweet pickle person, they’ve got the sweet and salty Pittsburgh Style Pickle. If not, the Dill-Mill Pickles are a taste bud awakening burst of dill and garlic. Then there’s the Fire & Smoke Pickles, with smoky chipotle, red and black pepper. It’s enough to make you wonder whether, like craft beer and soda, a craft pickle boom might not be far behind?